Obviously, if you put your computer near a window, the rays of the sun will reflect on your screen, causing glare. This will make it difficult to focus on the tasks on your screen, and will eventually become very annoying. Additionally, the glare also has a potential of causing eyesight problems, which is physically detrimental. The people who are most likely to experience eye fatigue and discomfort have works that are in line with technology. Whether they are graphic designers, IT professionals, writers, gamers or just people who want to sit in a movie marathon, they need eye protection as they spend most of their time focused on a computer monitor. Having said that, it is, therefore, very important that you choose a computer monitor that has a special feature of providing protection for your eyes. Thankfully, with the growth of technology, innovators have found a solution for this issue: anti-glare computer monitors. 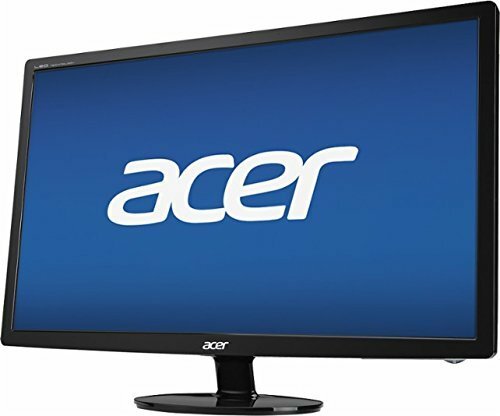 Computer brands have already started introducing this type of monitors in the industry, having it widely available in the marketplace. 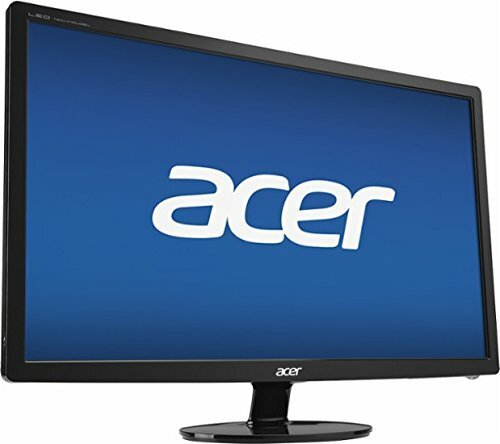 This first product in the list comes from AOC, one of the brands in line with the major contributors of computer monitors and other technology related items in the industry. Its model, the i2269VW, showcases a sleek design, featuring a slim frame that’s perfect for any monitor set up and for saving space on your desktop. Despite of its convenient design, a viewing screen of 21.5 inches and an aspect ratio of 16:9 are provided. A full HD resolution of 1920 x 1080 is also run by the LED backlit monitor. Another great feature of this unit is it’s utilization of an IPS panel to give an optimum viewing experience through a wide 178/178 degree viewing angle. While providing those, you can guarantee that the screen can still maintain the presentation of consistent and accurate colour reproduction and high definition images. The screen’s construction includes a matte anti-glare coating to ensure the consistency of the unit no matter where you put it. Aside from those, expect flawless scenes that are intensified with thrill and action as this unit provides you a response time that’s as fast as 5ms. With this feature, image smearing or ghosting is eliminated when your game or movie reached its most intense parts. No need to worry about your electricity bill iincrease as this AOC monitor model is EPEAT Gold and Energy Star certified, letting you have a power efficient gadget. The device uses about 27 watts and when in use while less than 0.5 watts when on standby. This next product comes from a brand that’s popular for its wide distribution of monitors across the industry. One of their products that are in line with monitors for computer use is the U28E590D. 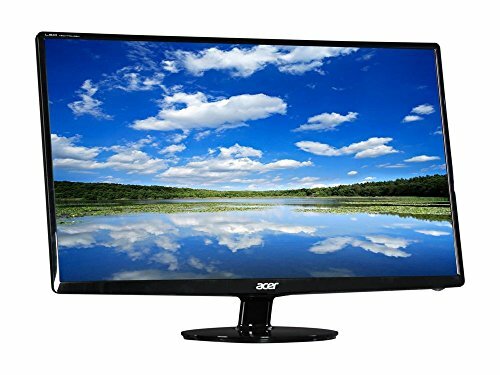 Providing a wide viewing screen of 28 inches, this monitor sure aims to provide you a device that you can use for PC purposes, movie viewing, gaming and etc., featuring a displays of incredible quality that’s made possible by the monitor’s resolution that claims to be about 4 times higher than what a full HD displays. This unit also provides about a billion colours to bring your game, movie, design and other contents come to life with a natural-looking and consistent detail. With its AMD feature and 1ms response rate, incredible viewing and gaming experiences are guaranteed. This unit is also designed with sophistication in mind, not only just providing you a wonderful viewing experience but also the sleek design that most people are looking for. The screen has a matte black finish and is framed by a thin bezel that comes with a metallic rim and matched by a T-shaped stand. This design will surely make your computer standout among the rest, especially when you use this in an office. Experience great convenience with this monitor’s PIP or Picture-in-Picture 2.0 technology as this allows you to multitask while you get the same resolution in front of you. You can also adjust the PIP window’s size and position to accommodate your needs and your preferences. This model doesn’t handle having two inputs at the same time well. The monitor doesn’t have VESA mounts so you completely rely on its stand. 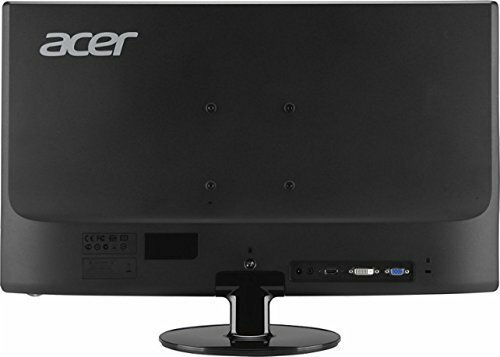 As we all know, Acer is always part of the leading companies that specializes on the manufacture of technologic devices, especially computer monitors. 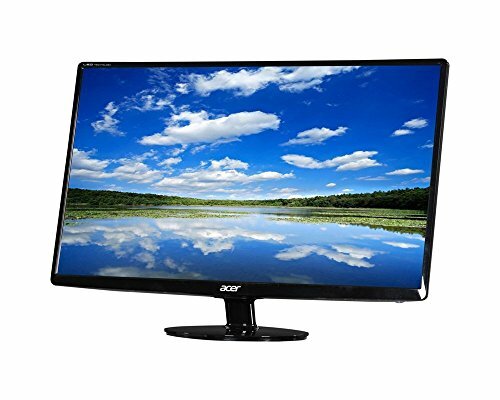 This 27 inch monitor model from Acer is focused on providing you an amazing gaming or video viewing experiences through its Full HD resolution of 1920 x 1080, all without harming your graphics card. This unit uses an anti-glare technology that comes with LEDs to give a backlighting to pixels. Images are shown brightly, with 300 cd/m2 brightness, so you won’t have to worry about not seeing clearly when your monitor is set up in a well lit room. This also provides a wide viewing angle of 178 horizontal and vertical degrees so that the screen maintains its resolution, even if you’re viewing it from different angles. The S271HL DBID also allows you to customize your viewing settings with just a touch of a button. The Acer eColour Management allows you to adjust the screen’s performance so it accommodates you when in different viewing situations. Energy Star also certifies this unit as a power efficient device, preventing increase in power consumption. Anti-glare feature to help you see what’s on the screen even when you’re in a well-lit place. 178 degrees of viewing angle to let you watch or play with this unit from different positions. Power efficient device, allowing less power consumption. With improper use, this may only last for a year. The Lenovo FHD 23 inch widescreen monitor is specifically designed to give off a slim and borderless appearance, letting you to easily set it up, even on a desktop with a limited space. Its 1920 x 1080 high resolution and anti-glare feature see to it that it only gives you the superb visual presentation that everyone is looking for in a monitor. You won’t also have to worry about missing any action scene on what you’re watching or playing as this unit provides a response time of 7ms, eliminating the ghosting effect when things on your screen go too fast. You can also view this monitor in different angles as it features 178 degrees of viewing angles so you can watch or play the position you’re comfortable with. Its VGA and HDMI interface makes it compatible with the systems that most people use. This unit is Energy Star certified and considered as a power efficient gadget. 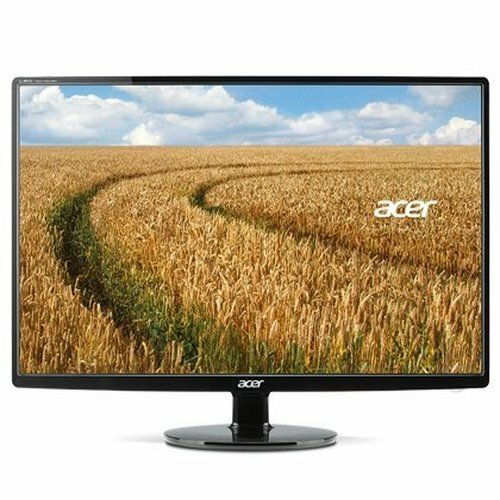 With this Acer monitor model, experience the incredible technology of a touchscreen interface. This unit takes you to Windows 8.1, allowing you to explore the system, view photos, play games, watch a movie and etc., with just the touch of your finger. 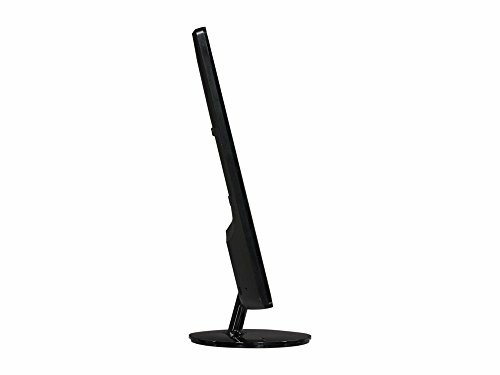 Its sleek edge-to-edge glass design allows your computer monitor to standout in any monitor setup. This design allows your monitor to appear as if it’s floating, making this monitor better set up mounted on the wall. Because of its anti-glare feature, you can easily find a place to set this up without worrying about the room lighting reflecting on your screen. A resolution of 1920 x 1080 is provided to enhance your viewing and playing experience. In addition, it has a contrast ratio of 1 million:1 and 5ms response rate so you won’t have to worry about missing something when it comes to action-packed and intensified scenes from your movie or game. For additional convenience, this unit also features 178 degrees of horizontal and vertical viewing angles so you can clearly watch or play with the position you prefer. HP proudly features the thinnest LCD screen model they have, the 25er 25 inch LED monitor. It has an edge-to-edge sleek design that lets your eyes focus on the monitor’s 1920 x 1080 high resolution image presentation. With this design, you can easily put this in any monitor setup. With the use of the IPS Panel technology, incredible and accurate colour reproduction is guaranteed. In addition to this, a dynamic contrast ratio of 5 million: 1 is provided to display greatly detailed images with rich colours and nice clarity. You can also watch with this monitor in the position you’re comfortable with as you can adjust it -5 degrees forward and about +25 degrees backward. To guarantee that you don’t miss anything from your movie or game when things go intense, a response time of 7ms. With the LED backlight, no need to worry about the glare effects of light. The monitor lasts shorter than other monitor models. This computer monitor model is one of the most sought out monitor for pc gaming. With its 24 inch widescreen coverage and a high resolution of 1920 x 1080, the VG248QE sure does provide the necessities of gamers. Coming together with those features is the monitor’s outstanding 1ms response rate and a refresh rate of 144 Hz so you don’t miss the action and spirit of the game. To improve your gaming experience, this unit comes with dual built-in speakers and inputs of HDMI, DVI, and VGA allow you to connect other devices of your choice to make you feel more comfortable. For more convenience, the unit also comes with a stand that’s specifically designed to be highly adjustable. You can tilt, swivel, pivot and do height adjustments with the stand to provide you the comfortable position you prefer. The return policy regarding this unit is hard to cope up with. This 23 inch LED monitor features a high resolution of 1920 x 1080 and an aspect ratio of 16:9 to provide you a widescreen viewing of detailed and clear images. With the use of the IPS Panel technology, 100% colour reproduction accuracy is guaranteed. It also has an 8 million: 1 dynamic contrast ratio to provide a high number of colour shades to make your images come to life. This unit also comes with a response rate of 6ms to eliminate the ghosting and streaking effects of intense scenes in movies and games. The monitor has 178 degrees both horizontal and vertical viewing angles so you can view from it even when you’re in different positions. The HDMI and VGA inputs allow you to connect other devices to match with what you’re working on. The unit is Energy Star certified, meaning that it’s a power efficient device that doesn’t consume that much watts when in use and in standby mode. This 19.5 inch monitor uses an LED panel that allows clear and viewable display even when you place the monitor close to a window or in a well-lit room. It has a 1600 x 900 resolution that’s enough to provide you detailed images. A maximum contrast ratio of 100,000,000: 1 is provided to give a high number of shades between dark and light colours. It also has a response time of 5ms to avoid unwanted blurring during fast scenes. You can also view images from different positions as the monitor can be tilted up to 90 degrees horizontally and 50 degrees vertically. This comes with VGA and DVI with HDCP inputs, enabling you to connect other devices. This unit is PC and Mac compatible. This last product is another monitor model from Samsung. Featuring a wide viewing screen of 27 inches, this curved monitor claims to give you the ultimate viewing experience that people are looking for. The unit’s curve is inspired with the human eye’s curve, giving you the comfort of panoramic views. This design makes the monitor standout in any setup, whether at home or in the office. The C27F591 uses AMD FreeSync technology to provide you smooth graphics rendering even during fast moving scenes in your movie or game. Together with this comes the 4ms response time that eliminates ghosting, streaking and blurring effects when it comes to the intense parts. It also has an Eye Saver Mode feature that reduces eye fatigue through the reduction of blue light. The article mainly discussed about anti-glare monitors, providing 10 products from different brand to describe what each features. Hopefully, this helped you know more about this type of monitor and gave you a choice of products for future purchase.